Christopher Charles Benninger's Letter on B.V.Doshi being conferred with the Pritzker Prize - ArchitectureLive! Balkrishna Doshi has made a seminal contribution to the development of architecture, and its many facets, in the Indian Subcontinent and far beyond. His contribution must be considered in its many facets. Though they are integral to one another, to understand them let us disaggregate them into several parts. We must know Doshi as a practitioner; Doshi as an institution builder; Doshi as a teacher; Doshi as an urbanist, Doshi as an artist; and Doshi as a great communicator of India’s architectural community to the rest of the world. In his complex career, Doshi wove all of these threads into a considered, articulate and integrated fabric. No other architect from the subcontinent has made such a vast contribution, in so many areas, affecting so many people’s lives. Let me briefly note his contributions in each of these areas. The Jury would know of Balkrishna Doshi’s work and contribution, but I would like to put the highlights on record. 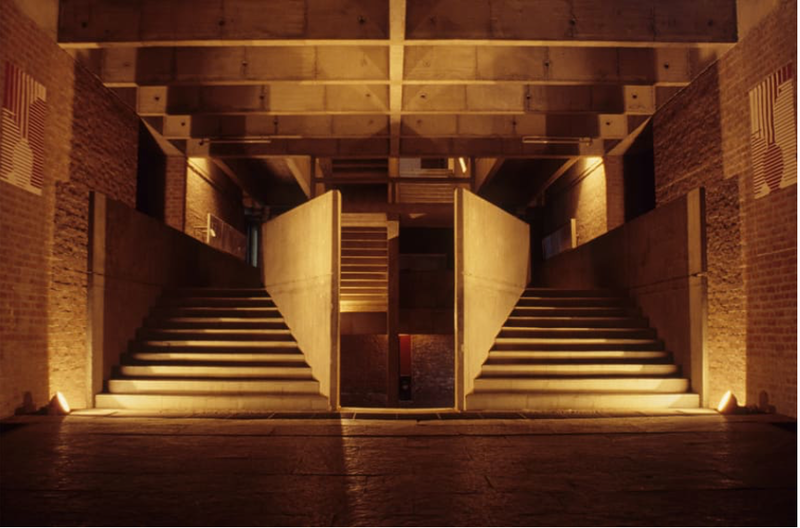 At the age of thirty-two Doshi began the detailed work of starting a school of architecture and three years in later, in 1962, The School of Architecture, Ahmedabad was up and running. There were only six other schools of architecture in India. The course broke away from the straightjacketed academia of the time, where colonial era curricula dominated the formal system of teaching. Soon Doshi’s school attracted teachers from America and Europe, who Doshi invited on meager salaries, yet they left enriched by the experience. The course work involved students in villages and low-income settlements; teamwork with social scientists and craftsmen; making things with ones own hands. Six years later Doshi initiated the School of Planning with a young professor from Harvard. The School of planning immediately broke from the traditional two-dimensional physical planning paradigm, branching into the social sciences and for the first time applying systems analysis to urban problems. A school of structural engineering emerged and the original institutional structure transformed from one school into a center of advanced learning, known as the Centre for Environmental Planning and Technology (CEPT), giving its own diplomas. Over the years a design school was created and a robust visual arts program initiated. This humble school of architecture evolved into a multidisciplinary center and is now a statutory university. In the 1970’s Doshi realized that his studio needed researched inputs and debate, so he created the Vastu Shilpa Foundation that has developed over the years into a center of studies in human settlements, where an annual International Habitat Studio is run with students from across the globe. This institute is located adjacent to his personal studio in Ahmedabad and has a wide research and publications program. On the CEPT University campus a Center for Visual Arts (a gallery with artists in residence and certificate courses in photography, print making, etc. ), the Kanoria Center for Fine Arts, having a strong educational program in the visual arts, and the Husain-Doshi Gufa, an avant guard national gallery of art were all created. As an institution builder Doshi was instrumental in bringing Louis Kahn to Ahmedabad to design the Indian Institute of Management, and he assisted Kahn, as his associate, through the years assuring that the project was completed to Kahn’s expectations. Tragically, the last night Kahn’s last night of peaceful sleep was in Doshi’s garden cottage, amongst birds singing and tropical greenery. He passed away on his way back from Ahmedabad to Philadelphia. The contribution of the CEPT graduates, in many fields of study, is immeasurable. CEPT’s influence on education across the country is immeasurable. Many graduates have started new institutes and become leaders in both the profession and in universities in India and abroad. I believe no other architect in the contemporary developing world has made such an important contribution in creating an institutional legacy for future generations. Doshi left the stifling colonial atmosphere of the Sir J. J. School of Architecture, in Mumbai, half way through his studies and headed to London where he worked as a draftsman while completing his RIBA qualifying exams. A chance meeting with Le Corbusier brought him into the Paris Atelier where he worked for many years before returning to India in 1951 to supervise Le Corbusier’s works in Chandigarh and in Ahmedabad. His studio at Dunn House, in the heart of the medieval city, attracted a team of bright young designers that included Charles Correa, Anant Raje, Kamal Mangaldas, Arvind Talati, and many others who joined into the exciting collaborative studio, with Doshi leading them all. There at Dunn House a unique studio style emerged, breaking away from the British office system. Teachers became students and youngsters became teachers. Model makers, craftsmen and students from around the world all joined the studio team in the heart of the medieval city. The studio was a virtual school of architecture with young architects joining the team and then leaving to set up well-known practices later. Important works emerged over a short period of time becoming an oeuvre almost overnight. In 1971 Doshi created Vastu-Shilpa and designed a unique small campus for it on the edge of the city. Doshi’s designs included his own house (1961); various buildings for the Gujarat University (1961-66); the School of Architecture building (1968) and many extensions over the years for CEPT; Physical Research Laboratories (1960); the Institute of Indology (1962); the Comprehensive Campus for Shreyas School (1960-66) and low-income housing projects emerged. The innovative Tagore Memorial Hall, the major auditorium for the city of Ahmedabad, (1967) and the Premabhai Hall (1971); Townships at Vadodara for the Gujarat State Fertilizer Corporation (1964-69) and at Kalol for the Indian Farmers’ Fertilizer Cooperative (1970-73) were designed and built integrating ideas drawn form the villages and suitable for the Indian climate. His own office Sangath (1981), and sprawling campuses for the International Crops Research Institute for Semi-Arid Tropics (1974) in Hyderabad, and the Indian Institute of Management at Bangalore (1977); and the Gandhi labor Institute (1979) all emerged as models of campus design in India. Though Doshi learned architecture virtually at the feet of a master architect, even his early work shows a yearning to find a more humble, minimalistic Indian regionalism. Always the learner Doshi literally grew his language into a unique Indian vocabulary. Later works like the Husain-Doshi Gufa Art Gallery (1995), the National Institute of Fashion Technology (1997) and the Diamond Bourse (1998) broke new ground, responding to new technologies and materials available in a globalizing India. Much of Doshi’s work over the years has addressed issues of access to shelter, as exemplified in his Aga Kahn Award Winning Aranya Nagar Housing at Indore for eight thousand low-income families. Anyone who visits his studio, Sangath, will find themselves in a beehive of creativity, a different kind world and a different kind of thinking, full of colors, youngsters, full scale mock ups and large hand drawn sketches. Doshi’s work, his freedom of expression, the ambiance he exuded, all generated a new spirit amongst young architects in India, liberating them to experiment, try things out and to search for a meaningful Indian architecture. Doshi’s introduction to urban planning came during his initial years upon returning to India when he was supervising Le Corbusier’s new city, Chandigarh, in the Punjab. He gleaned knowledge of basic issues and of the layers of strategies required for a city to function. He always yearned to find a rustic life integrated within urban India, and to integrate nature within large infrastructural systems. Early in his career he was awarded commissions to plan new towns centered on large fertilizer complexes, and to design their buildings (as noted above). Later he prepared a plan for new Jaipur where he integrated the historic city’s innate logic, a hierarchy of social spaces, into his new plan. In the new twin city of Navi Mumbai he created an innovative maser plan opening up views to the bay, and to the distant mountains, and creating a transport oriented development, before the term was coined. Focusing down to an urban design scale he created heritage conservation and redevelopment plans for the ancient centers of Ahmedabad (Bhadra Historical Zone) and Hyderabad (Charminar Historical Zone). He produced Guidelines for the urban design of the Bandra-Kurla Complex in Mumbai, the new international finance and business center. He prepared master plans for natural regions in Kashmir with the vision to preserve their natural ecologies, while providing for unavoidable tourist development and the spread of human settlements. The idea of a School of Planning at Ahmedabad, its initiation, and sheparding it into existence was a result of Doshi’s deep concern for urban issues and rationally planned development. Doshi was deeply involved in the teaching of architecture at CEPT from its initiation as a lone school, through its development as a center of excellence with a number of schools, and as it matured into a statutory university. Doshi was a visiting professor at the University of Pennsylvania, who conferred upon him an Honorary Doctorate. He held chairs and was a visiting professor at many other universities in America and in Europe. He was honored by the Indian Institute of Architects, with the first G. B. Mhatre Gold Medal, an honor reserved for contributions to education. UNESCO, and the International Union of Architects, called upon Doshi to help prepare the International Charter on the Education of Architects. Hearing him discuss projects in school studios and in juries enraptured students and teachers alike, as Doshi turned common wisdom inside out and upside down. He broke down silos of thinking, inviting psychologists, photographers, masons, carpenters, scientists and literary authors to teach and review projects in his campus. He made every teacher a student and every student a teacher. Fieldwork, interdisciplinary course work, research integrated with studios, were learning processes that became his hallmark. From a degree candidate who never finished his course, to a creator of institutions, a designer of many academic campuses, Doshi was conferred was Honorary Doctorates from two of the most prestigious universities in the world, McGill University and the University of Pennsylvania. Perhaps it was the influence of Le Corbusier, but there was an artist hidden in Doshi and it flourished in his black ink sketches made on field visits to great temple complexes and ancient campuses. At the CEPT University campus he created Kanoria Center for Art, a school of painting and sculpture. Likewise he raised an endowment for a center for Visual Arts on the campus, housing the city’s most important art gallery and facilities for visiting artists. With India’s most renowned and iconic artist, F. M. Husain he created the Husain-Doshi Gufa, a gallery to display experimental art. Perhaps the greatest mark of success of this avant-garde center of experimental art was when radical fundamentalists attacked it, destroying millions of dollars worth of paintings. Doshi has lived through such anguishing times. Unlike many Indian architects who sought recognition, wealth and comfort in the west, Doshi stayed put in India during his entire mature career, only visiting foreign universities on short teaching and lecture assignments. He never found it necessary to keep one foot in India, and another in a developed country to assure himself of his importance. Doshi’s confidence in his culture, and in his society, would not allow that. Yet, he always tried to bring the best of international culture, talent and ideas into India, Starting with Doshi’s advocacy for Louis Kahn coming to Ahmedabad; bringing foreign teachers and lecturers to his school and center; participating in invited design competitions, like the Kuwait National Assembly Competition; running an International Habitat Studio within his own Vastu-Shilpa Foundation; being on juries for the Aga Kahn Awards and the Pritzker Awards; and exhibiting his work across many lands, Doshi has always been a worldly and global thinker. At the age of eighty-nine Doshi remains an active and popular public speaker in India. His books on his work, his ideas and life are well received and distributed widely. Anyone visiting India has to make a pilgrimage to Ahmedabad, to see the great master works and to meet the master architect! Finally, it would not be possible to note all of the important awards bestowed on Doshi. But it is important to note them in telegraphic style: The French Gold Medal; Padma Shree bestowed by the President of India; Chicago Architecture Award; G. B. Mhatre Award and the Madhav Achwal Award bestowed by the Indian Institute of Architects; Great Master’s Award; Golden Architect Award; and awards from various countries including South Africa, Mexico, Bulgaria, and early in his career a Graham Foundation Fellowship. This short letter, turned long, simply reflects the vastness and depth of Doshi’s contribution to architecture, education and urbanism. It would be appropriate if such a major contribution were recognized in the form of a Pritzker Prize. Doshi’s name will bring good will to the prize in return! 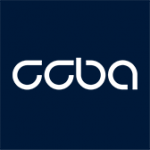 This post originally published on Facebook by Christopher Charles Benninger. It can be accessed HERE.